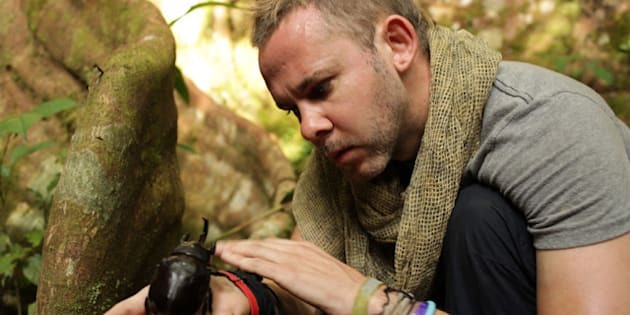 Dominic Monaghan has been well-prepared for his latest TV venture, "Wild Things," for his entire life. Besides an innate fascination with all things in nature, Monaghan's previous roles in the movie trilogy "Lord Of The Rings" and the TV show "Lost" have exposed him to natural environments he may not have experienced otherwise. To put it simply, Monaghan is an outdoorsman, and is absolutely bonkers for nature. "Wild Things" follows Monaghan as he travels around the globe searching for nature's strangest and most beautiful creatures. Some are terrifying (cobras, tarantulas, water snakes), but all are fascinating, and Monaghan shows immense respect for the animals he encounters, and bears a level of professionalism and awe that we've seen before, embodied in the late Steve Irwin. Huffpost TV chatted with Monaghan over the phone from Los Angeles -- he explained to us why he's so fascinated by nature, how it all began, and how he's trying to encourage people to get out and travel more often. I watched the premiere episode with the Vietnamese Giant Water Bug. Gross. Have these sorts of things been a lifelong interest for you - bugs, nature, the whole bit? The natural world, certainly. I can't remember a time when I haven't been fascinated by nature. I'm a pretty impatient person, and when I was a kid, I wanted the natural world to be de-mystified a little bit. I realized that you could just go into your garden and get a close look at insects whenever you wanted. That's why the insect thing came into play, but I'm deeply interested in birds, mammals, reptiles, amphibians -- you name it. Do you have any particular childhood memory of your love for nature? I recall my parents taking our family to Italy when I was six or seven years old, and my brother and I catching lizards. It's not that easy, because lizards are extremely fast. I remember having five or six of them in the bucket. I was curious and interested ... and fearless. The natural world has given me some amazing gifts over the years: I've played a lot of characters based on animals, I've spent a lot of my free time traveling to beautiful places all over the world, and I've witnessed natural phenomena in those places. This show is my way of introducing people to the things that I've gained a lot of satisfaction from. You've spent a lot of time in New Zealand [filming "Lord Of The Rings"], which is home to some of the world's most beautiful things. 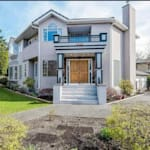 What was your experience like there? I'm hoping to get back there for Season 2 of "Wild Things," but apparently the biggest insect in the world lives there -- the giant weta, a cave-dwelling cricket. When we were shooting "LOTR," they would bring in these giant bags of leaves to the studio and dump them out in order to make it look like we were outdoors. Peter Jackson is quite scared of wetas, so I would go right up to them and grab them, to put them back outside and away from him. [Laughs] I saw a lot of cool things there, like the glo-worms in the caves, and I saw whales, dolphins, and so many creatures. New Zealand is a great place to see nature because it's relatively untouched. Did you receive any particular training for this show? I keep animals at home: snakes, spiders, praying mantises, centipedes and things like that, so I have a certain amount of hands-on experience with those. I have friends who breed certain types of exotic animals, so I can go hang out with them, and I've spent some time at the Natural History Museum in Los Angeles. I watch an inordinate amount of nature shows and read a lot of scientific papers. To a certain degree, I'm self-taught. We have a medic with us, at all times too, just to be safe. At times watching "Wild Things," it felt like a travel show too, not just a show about nature. Would you agree? Yes, absolutely! Some of our major influences when we made the show were Anthony Bourdain and Steve Irwin, to name two. I made sure we did street food every episode, and I wanted to interact with the locals on the street, so you see quite a bit of that. We included the hustle and bustle of the various cities before we ventured off into the jungle. People who don't necessarily like creepy-crawlies might tune because they like street food, and people who don't necessarily like street food will tune in because they like travel shows. I'm attempting to break some of those myths - that travelling to strange countries is intimidating, scary or not recommended. It's not that bad going somewhere where you don't speak the language. The world is a friendly place if you walk around with a smile on your face. I hope people will travel a bit more after seeing this show. "Wild Things" premieres on January 21 on OLN at 9 p.m. EST/PST in Canada, and on BBC America at 10 p.m. EST and 9 p.m. CST in the U.S. on January 22.